If only things were this simple today. 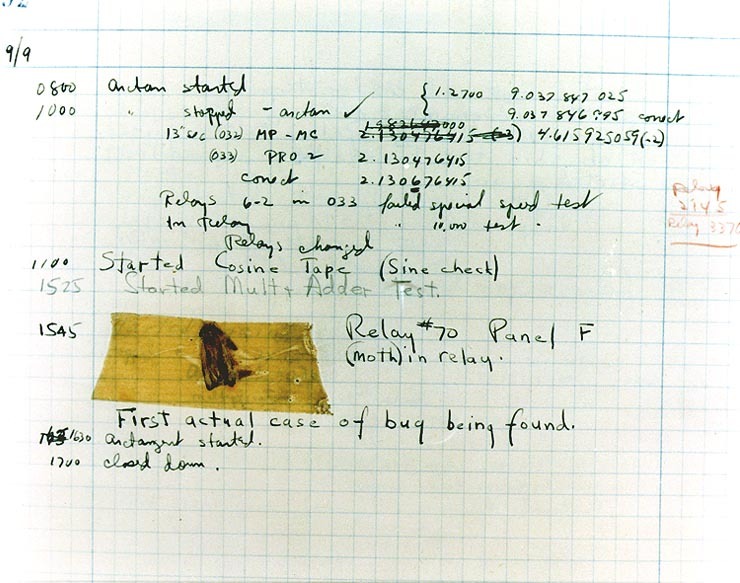 As software continuously grows in complexity, so does the process of testing and debugging. Nowadays, the lifecycle of a bug in software can be lengthy, costly, and frustrating. Finding and fixing bugs early on in the application development stage is cheaper and easier than doing so during QA, or worse, in production. This is because, as any developer knows, debugging is often a case of finding a needle in a haystack. The smaller the haystack (the code you’re looking through) the easier it is to find the needle (or bug). 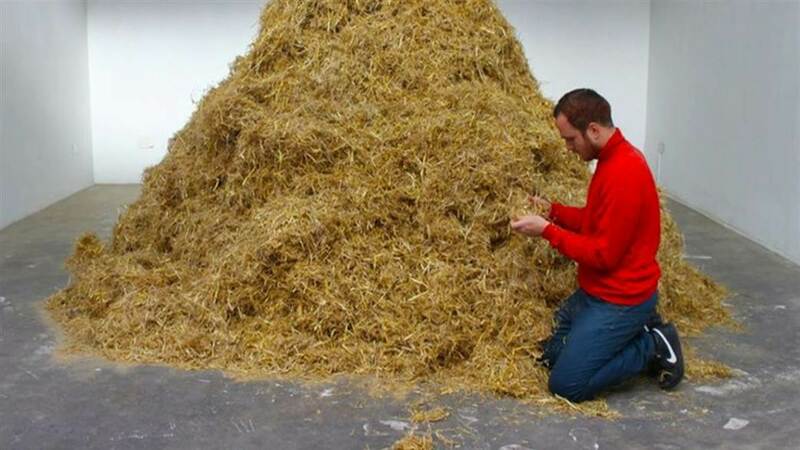 That haystack is going to be smaller when you’re looking at the code written by one developer, as opposed to several developers or more. 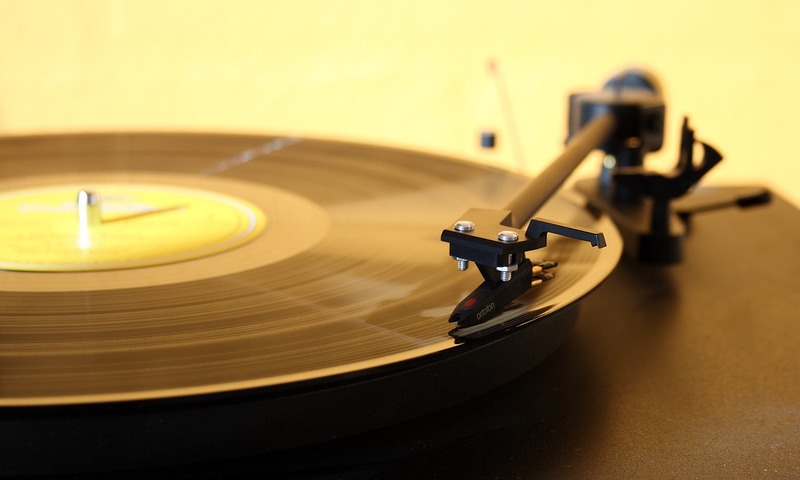 This dynamic is what’s driving the trend of ‘Shift-Left’ to do more testing – not just unit, but functional and visual – during the development phase of the app lifecycle. Recognizing the importance of this trend, we want to help frontend developers and have developed new visual testing capabilities as part of Applitools Eyes. When you adopt shift-left, it impacts your software development lifecycle. 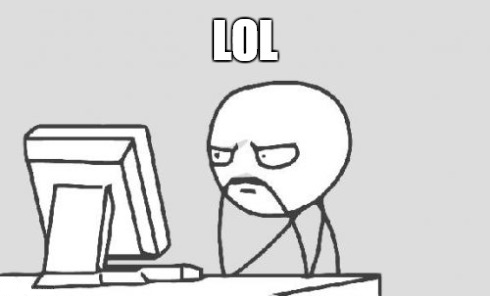 Developers now need to do more testing as they code, to discover bugs as soon as they create them. Shift-left testing paired with an increasing velocity of releasing software to meet business demand, all while maintaining high quality, presents huge challenges for R&D teams. If you’re a developer, you have to do more. Write more code, do more testing, manage the merge, etc. All to deliver more features in less time and with better quality. Because of these challenges, we are seeing new tools being adopted by developers such as the Cypress test framework and Storybook UI component development framework, and more. So we expanded our AI powered visual testing platform to integrate with Cypress and Storybook. Now you have the tools to do visual UI testing as you code — at the speeds you need for Agile development, continuous integration, and continuous delivery (CI-CD). 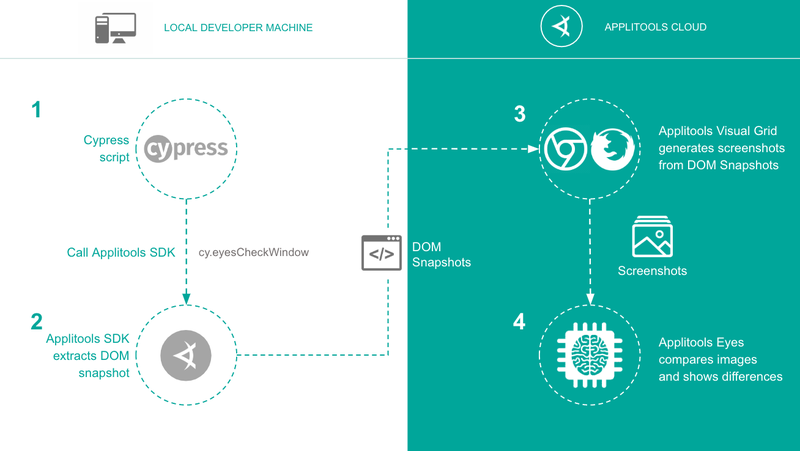 The Applitools Cypress SDK lets you instantly run visual UI tests on top of your functional tests by running browsers in parallel, in the cloud, to generate screenshots for multiple browsers and viewports. Our visual AI engine then compares these screenshots to find significant differences and instantly detect visual bugs. If you’re making the move to Cypress, we made this process run ultra-fast so that you won’t experience any slowdown when adding Applitools Visual AI Testing into your work stream. We do this by using containers to test all options simultaneously, in parallel. We call this feature our Applitools Visual Grid. It takes the DOM snapshot and renders the various screens on different browsers and various viewport sizes corresponding to multiple mobile devices, desktops, etc. For the first time, you can use Cypress to effectively test to see if you have any cross-browser bugs. And, you can now do responsive testing to see if any visual bugs occur on different screen sizes. This increased speed lets you cover more tests cases, increase test coverage, and catch more bugs before they hit production. The Applitools Storybook SDK visually tests UI web components, without any test code and works with React, Angular or Vue. The way it works is that we scan the Storybook library to inventory all components. Then we upload a DOM Snapshot for each component’s visual state to our Applitools Visual Grid. Once these DOM Snapshots are on our visual grid, we run visual validations in parallel. Validations of all visualization states of all components, on all specified viewport sizes, on both Chrome and Firefox, happen at once. How we make visual testing of Storybook components ultrafast. All this lets you perform ultra-fast codeless validation of your Storybook component libraries in seconds. You can think of this as visual testing at the speed of unit testing. You can learn more in this blog post on visually testing React components in Storybook and this webinar on our Cypress and Storybook SDKs. 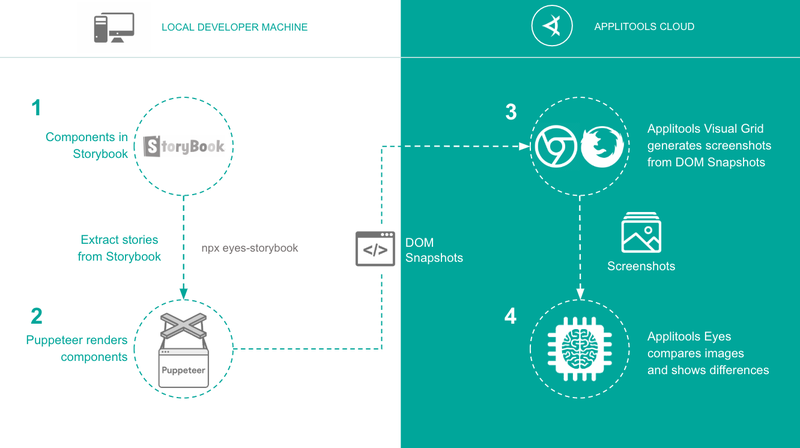 Check out Applitools’ new Storybook SDK and sign up for a free Applitools Eyes account at (https://applitools.com/storybook). The Final Word: Expanding Left, Not Shifting Left! I want to emphasize that, even though we’ve talked a lot about developers and Cypress in this post, we still remain as committed as ever to QA teams, and the frameworks they use, including Selenium. Selenium remains an incredibly important part of the test automation world, and we continue to remain a sponsor of both the Selenium project itself and SeleniumConf. 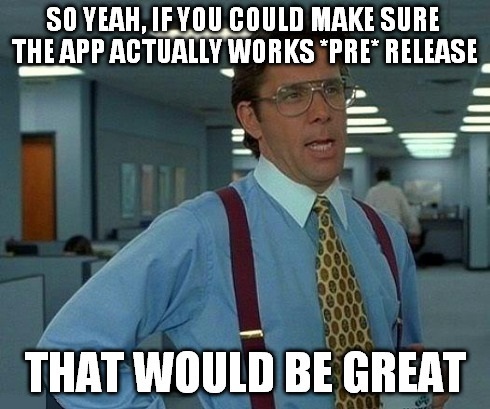 In the coming weeks and months, you’ll see us release new functionality that backs this point up. While we are delivering new visual testing tools to developers, we remain committed to serving test automation engineers and QA analysts. That’s why we are talking about expand-left, rather than using the more common term shift-left. If you have any questions or want to try the application visual testing approach, please reach out or sign up for a free Applitools account today! How will you start visual UI testing with Cypress or Storybook?